Time for some thoughts on the Jim Tressel resignation and the program at Ohio State . I have always been a Jim Tressel supporter and remain so despite the problems. That said,the good of the program has to come first and the time had come. Tressel protected his players from their mistakes,which is admirable but still wrong. They screwed up and Tressel's attempts to shield them from their errors for right or for wrong is what cost him his job. As Richard Nixon learned with Watergate-it is usually the coverup that takes you down,not the crime. I still think the "crime" of selling your own property is a B.S. one,but like it or not,the rules are the rules. One cannot say the rule is stupid,so I refuse to follow it. Try that one in everyday life and see how far that defense gets you the next time that you get pulled over for a traffic violation. One can easily say that the touted Terrelle Pryor has been far more trouble than he has been worth. I have no issue with Tressel being removed,but AD Gene Smith and most importantly President Gordon Gee need to join him. This likely came down to lessen the NCAA punishment,if and that is a BIG if this is the best that can be found-Ohio State forcing out Tressel will go a long way in reducing the time for the crime. Say what you wish about Tressel,but his players hit the classroom. The Cleveland Plain Dealer reports this on the OSU academic numbers-"Ohio State was ranked No. 5 in all of Division I football by the latest NCAA Academic Progress Report. The Buckeyes were at 985, the best of any nationally ranked program. The others ahead of OSU are Northwestern, Rutgers, Northern Illinois and Duke." Now,the names mentioned to replace Tressel are big ones. Luke Fickell might have to run the table to keep the job beyond this year,but the candidates have some huge names-Urban Meyer,Bob Stoops,Jon Gruden and Bo Pelini have to be front runners for the job. Of that crew,Meyer and Stoops have won national titles and have Ohio connections. Gruden is an Ohio product as well and Pelini is an OSU player and graduate. 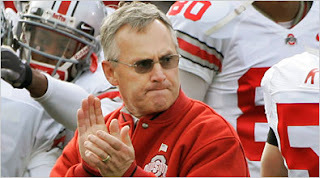 Jim Tressel has resigned as head football coach at Ohio State this morning. Tressel was trying to ride out various scandals at OSU and finally Tressel and.or Ohio State decided to end the situation. Luke Fickell will remain as the interim head coach for the entire 2011 season. Fickell had been tapped to replace Tressel during his five game suspension to start the 2011 season. Ohio State will conduct a search for a permanent replacement following the season..
Tressel leaves Columbus with a record of 106-22 and a .822 winning percentage. 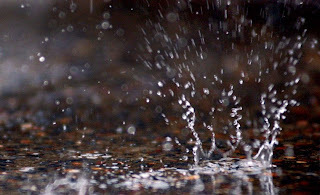 Thanks to a just under three hour rain delay,I missed the Pirates 3-2 loss in Chicago. Lyle Overbay knocked in both runs with a two run first inning double. Jeff Karstens was the loser and is now 3-4. The Pirates make their only trip to the Big Cesspool this season starting tonight against the Mets in the first of four games. Charlie Morton for the Bucs against Dillon Gee for the Mets. Doumit had been playing well and raising possible trade value,so this is a pretty bad time to get hurt. Veteran backstop Dusty Brown will get the call from Indianapolis to back up Chris Snyder. The usual callup Jason Jaramillo is injured at Indy. Steve Pearce also hit the disable list with the calf injury that sent him from Saturday's game. Josh Harrison,who has been hitting well at AAA will make his debut with the team in the New York series. Since I didn't see the game,that is all I have. Paul Maholm finally got some run support on a day that he needed little as the lefthander shutout the Cubs in a 10-0 Pittsburgh win. Maholm improved to 2-7 on the season in the rout that saw the Pirates muscle four runs out of the field of play. 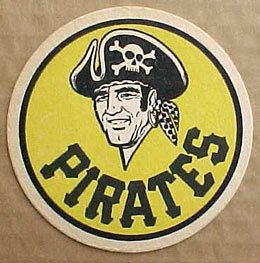 Pirate homers to Andrew McCutchen (9),Lyle Overbay (5),Ronny Cedeno (2) and Chris Snyder (2). 1) Paul Maholm did not allow a hit until the fifth,only three on the day and did not walk a batter. 2) Joe Beimel looked pretty bad in the ninth inning yesterday and it turned out for good reason-elbow inflammation that tabbed him DL-bound. 3) Steve Pearce knocked in the first two runs with a key single,but left the game with a calf injury. No word on the seriousness,Brandon Wood finished the game at third. 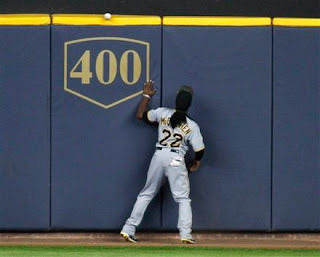 4) Andrew McCutchen's homer might have meant little on the scoreboard,but was it pounded or what? Lanny Frattare would have said there was no doubt about that one! 5) A word on the Cubs-Looking at the contracts that they are stuck with and cannot move (Soriano,Fukudome and maybe Zambrano) can the Cubs have any hope at all over the next few years? 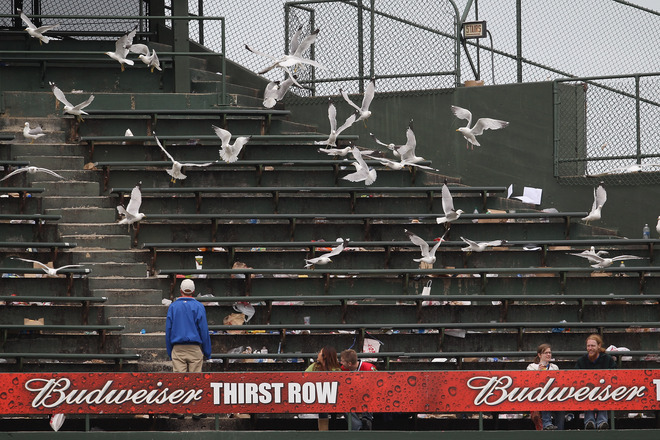 With the amount of money that they spend on declining players,Cubs fans might have to tolerate baseball that is worse than they have seen for a long time to come.. The Pittsburgh Pirates took advantage of the spectrum of Chicago Cubs mistakes-Fielding errors,walks and hit batsmen to grab a 4-2 win at Wrigley Field. Kevin Correia threw eight shutout innings and moved his record to 7-4 with Joel Hanrahan whiffing all three batters that he faced for save number 14. The series continues this afternoon. 1) Kevin Correia was terrific in allowing just four hits and lasted into the eighth inning. The win gave Correia the National League lead in wins. 2) The ham handed Cubs pretty much gave the Pirates what they needed in the second inning with errors by Doug Davis and Aramis Ramirez leading to runs. The Ramirez error was a big one as his error would have either erased a Pirate run on a forceout or turned a double play. 3) Nice work by Jose Veras relieving Correia in the eighth in working out of a bases loaded situation without allowing a run. Veras kept the lead at four and that was important in the final inning as Joe Beimel allowed a two run homer to Alfonso Soriano that gave the Cubs hope. 4) The homer didn't matter much as Joel Hanrahan was called into the game and he just blew away three Cubs that had no chance. 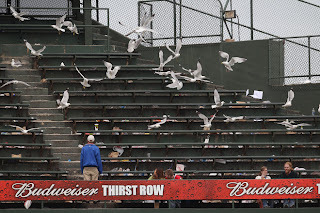 5) Fun note,the seagulls came into Wrigley and had to be playing havoc on flyballs and pop ups. A good time to clear the inbox with no Pirate game yesterday. Watched the Marlins 1-0 win over the Giants yesterday and came away shaking my head at Ryan Vogelsong. Vogelsong took the hard luck loss,but was not even in the same universe as the Vogelsong that was dubbed "Vogelsuck" by Battlin' Bob. I am a huge Buster Posey fan,but you cannot blame Scott Cousins for the season ending injury to Posey. Two very nice tributes to the "Macho Man" Randy Savage. One by the "Sports Guy" Bill Simmons at ESPN and the other by Shane over at From the Shadows. My brother is one of the best wrestling writers out there and if you want to gain a greater grasp on the business,there is no one that I would recommend reading more than he. I really need to work on the dream that I have for this site. The Kansas City Star has an interesting read on the touted Royals system and the dangers of counting on all to succeed. Speaking of the Royals,sorry to hear about the passing of Paul Splittorff at 64. Splittorff was the definition of the term "Crafty Lefty' for the several close but no cigar Royals teams of the late 70's. Splittorff is the Royals all time leader in games won and spent his retirement years as a much loved voice of the Royals on television. Best wishes for a speedy recovery to the radio voice of the Cleveland Browns,Jim Donovan,who will be undergoing treatment for leukemia. Donovan also works for Sports Time Ohio's Browns coverage and we wish him well in his fight. Due to a call in last night 15 minutes after my shift started due to a personal tragedy from a co-worker,I didn't get this post up. 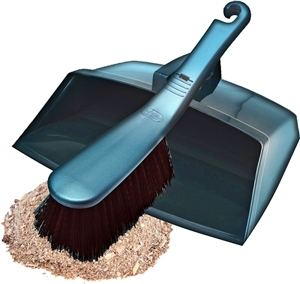 I figured since the Pirates and Braves played an afternoon game to end their two game set,I would make just one post. I will be working the next eleven days without an off night,so I hope to do the best that I can do with both the blog and the autograph circuit. The Pirates dropped two very winnable games to Atlanta at PNC Park,losing Tuesday night 2-0 and yesterday 4-2 in extra innings. 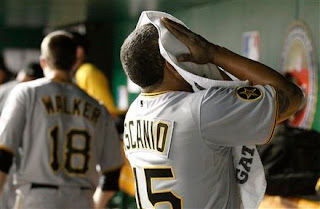 Charlie Morton took the hard luck loss on Tuesday (5-2) and Jeff Karstens was the loser (3-3) in the final game. Steve Pearce homered (1) yesterday. 1) Once again,the loss has to go to the slumbering bats as both Charlie Morton and James McDonald pitched well enough to win,but lack of run support doomed both. The best part of both pitchers outings were that they clearly didn't have their best stuff,yet were able to work their way out of jams. 2) Play of the game that no one is talking about-Jose Tabata being foolishly thrown out on the bases with Steve Pearce at the plate. 3) Clint Hurdle switched the lineup around a bit before Wednesday's game and the main switches were Jose Tabata leading off,Andrew McCutchen batting third and Steve Pearce in the lineup playing third base and batting second. 4) Evan Meek returned to action with a scoreless inning on Tuesday. 5) Still no idea on the Pirates thinking for the top pick. ESPN's Keith Lawa has the Bucs down to one of these three-Virginia pitcher Danny Hultzen,UCLA pitcher Gerrit Cole and high school outfielder Bubba Starling as the favorites with Rice third baseman Anthony Rendon ranking behind all. The sports world and the wrestling world (and the two are not as divergent as you think) each lost giants of their profession last week with the losses of baseball Hall of Famer Harmon Killebrew and wrestling star Randy Savage. Harmon Killebrew was touted as being the man that would break the home run record held by Babe Ruth and he didn't fall that far short as when the "Killer" retired,he was second to Ruth in American League only homers and the leader in homers by a righthanded AL hitter. Killebrew passed on and I was at a dinner with my dad,who remembered when Killebrew came up to the then Washington Senators amongst all that hype. I wonder how the history of baseball in Washington would have been different,if when Calvin Griffith moved the team to Minnesota with the talent that made the Twins a contender in the 1960's,baseball gave Griffith and Minnesota the expansion team that Washington was stuck,while keeping Killebrew,Tony Oliva and the rest in Washington? Killebrew often seems to be the forgotten hitter among the homer leaders. I even did so as we conversed on Killebrew,I gave him about 100 homers less than he actually had. 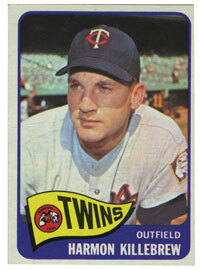 Harmon Killebrew and Eddie Mathews might be the most underrated "great" players of all time. Harmon was also remembered for the homers distance as he set records that still are remembered for their rocket shots. Killebrew hit the longest ball at old Met Stadium in Minneapolis that was measured at 520 feet and is honored by a red seat hanging at the distance in elevation at the Mall of America,which stands at the site today,was the first person to hit a ball over the left field roof at Tiger Stadium and hit the longest ball at Baltimore Memorial Stadium as well. The eleven time All Star and 1969 MVP amazingly did not reach the Hall of Fame until his fourth appearance on the ballot. Killebrew was highly thought of by many and ranked with Brooks Robinson as one of the kindest stars to fans after his career. My main disappointment with the Loudon Hounds fanfest was that Killebrew was scheduled to appear and was unable to attend due to health issues. Randy Poffo was once a minor league baseball player that didnt hit enough to hit the big time,so what does an athlete do after the dream is over? Many go into the family business and for Randy Poffo,that meant transforming himself into Randy "Macho Man" Savage and hitting the wrestling circuit. Savage might have been the only baseball player to hit it big in pro wrestling as far more former football players were able to make the transition. Savage was part of the family promotion with his father Angelo and brother Lanny in the "outlaw" promotion ICW in the late 70's-early 80's based out of the Lexington Kentucky area before the company closed. Savage then had a memorable run in the Memphis territory as the invading rival against Jerry "the King" Lawler,but I had never seen Savage wrestle until his arrival in the WWF. Tape trading was in its infancy then and it just wasn't that easy to see other promotions. Only through the wrestling magazines were you able to see pictures and "articles" on other territories and as enjoyable as that was,you were depending on the word of others on the quality of the grappler in question. Savage brought an intensity to his matches that few could match. When you combine his intensity and athletic ability, Randy Savage was able to deliver the one thing that most wrestling fans of the era craved-Suspension of Disbelief. 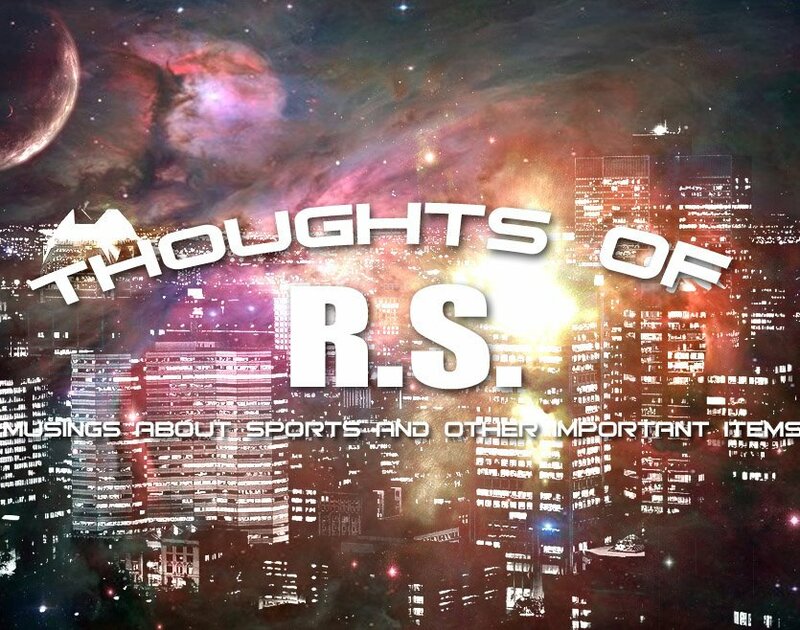 This phrase is used often by people both in and out of the business and the goal is this-to be so seemingly on the level that for the hour or two watching the television or at the live show,you put aside your knowledge of what pro wrestling is and enjoy it as you would any other sport. 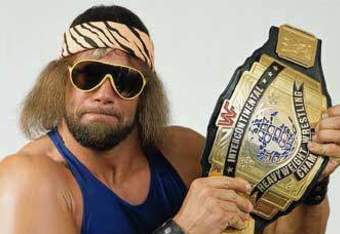 When you have Suspension of Disbelief,that spells box office clout and Randy Savage had plenty of that. Randy Savage had the type of aggressive attitude and ring style that it was above beyond the other WWF stars of the time.Paul Orndorff might have matched Savage in aggression and realism,but Savage's ability to play the unbalanced heel topped Orndorff in that area. Randy Savage always preferred a planned,patterned match that some looked down on as not doing things on the move and that had its good and bad points. His famous match with Rick Steamboat was just such a match and it ranks as one of the top matches ever and only Savage and his meticulous planning could get an good match out of the horrid Ultimate Warrior. Savage was the one of the rare wrestlers that was able to retain a large number of his "heel" fans when he was on the right side of the law,simply because he was convincing enough in his character that heel fans could look at him as unchanged,simply wrestling different foes. There have been very few to handle that balancing act. For all the things to write about in the ring,Savage will be remembered by the non-fan for two things-the gravely voiced "OHHH Yeahhh" catch phrase and his years as a endorser for the always delicious Slim Jim products. 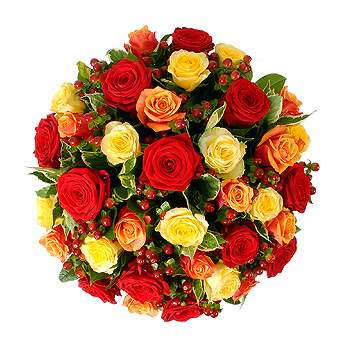 Just a quick note of appreciation to the lovely Cherie for allowing me to spend another year in her life. As those of you that know me personally,I come with several issues that have to make me difficult and she manages to not only tolerate my problems,but help me get through them. Cherie has been the light of my life for not just the 24 years that I mark today,but for the year and half of dating before that and another two years before that. Not going to get into the entire saga here,but this truly has been a long term love on my part. Cherie has tolerated my craziness in the various hobbies and interests and still manages (usually) to do so with a smile or at least a tolerant sigh. Thanks to her for sticking around so long and for being the most wonderful portion of my life. Stay tuned for next year and the Silver Anniversary tour!!! More from the signing front as I attempt to look back at the first few weeks of the season. We begin with thanks to our man in Binghampton,Jason Christensen,who hammered out some stuff from the AA New Hampshire squad that featured top prospects Anthony Gose and Travis D"Arnaud. Jason also added former number one pick Allan Dykstra from the home team as well as some Pirate cards of B-Mets manager Wally Backman. Jason also added some players from Akron and Portland. Thanks to Tom O'Brien for his help with the usually tough Erie SeaWolves. The main hits there were 70's outfielder Jerry Martin,who has an excellent signature and Tom reports is very nice and pitching prospect Casey Crosby. The Hickory Crawdads hit Hagerstown and the better prospects weren't the easiest players to get. Touted shortstop Jurickson Profar was a one per,while Kellin Deglan was terrific the first night and tough thereafter. The Hickory coaching staff was great,manager Bill Richardson is a super nice guy as is former big leaguer Storm Davis,who signed everything for everyone. Davis is returning to the game and was very nice. This was an extremely difficult series as the Suns have begun to close to the "chute area" off when a party has been bought for the evening. This means lots of yelling so players can hear you,which is a task made more difficult by being directly under a loudspeaker. The team has been helpful in addressing issues,but weekends are going to be tough at the Muni on such evenings. The Frederick Keys homestand brought in Winston Salem's Dash and Wilmington's Blue Rocks to Harry Grove Stadium. Winston-Salem featured former first rounder Jared Mitchell,who missed most of 2010 due to injury. Mitchell was engaging and signed everything for me,which surprised me when I heard about issues from others.My experience was a good one. Other pickups were pitching prospect Addison Reed,former Arkansas star Andy Wilkins and former White Sox closer Bobby Thigpen. Wilmington featured Jake Odorizzi,who was a vital part of the Royals trade with Milwaukee that saw Zack Grienke go to the Brewers. Odorizzi is dominating the Carolina League right now and might not be still in Wilmington for their Frederick return in June. Jake signs three cards as long as they are different and was very nice about his rules. I had next to nothing else for the Blue Rocks as cards didn't arrive in time for them,so I'll be back for them next series. The Lexington Legends featured several first round picks with Delino DeShields Jr. pacing the pace. 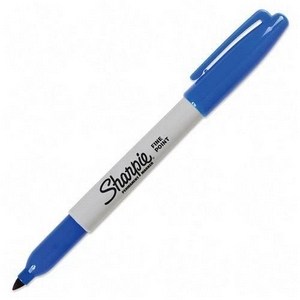 DeShields has the early lead for signer of the year as he signed anything and everything for everybody! Mike Foltynewicz,Mike Kvansnicka and Telvin Nash were other prospects that were excellent signers..
Finally,thanks to the "Superfan" Dave Sloan for his help with the Astros in spring training. 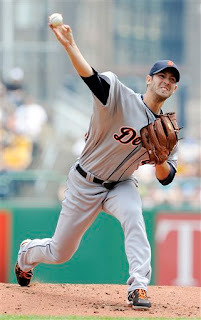 Paul Maholm pitched well,but not well enough to overcome Rick Porcello,who allowed just one hit in eight innings as the Detroit Tigers ruined the Pittsburgh Pirates hopes for a sweep in a 2-0 Detroit win. Maholm allowed both runs in dipping to 1-7 on the season. Pittsburgh is off today before a two game series at home against Atlanta. The work gauntlet ended today ( I hope) before another one begins in a few weeks. I am hoping to use the next few days to catch up on things such as the promised goodbye piece,the Suns prospects for NatsProspects,On the signing front and maybe more. 1) When you have just two hits and only one in the first eight,there are not going to be too many notes,but again little support for Paul Maholm. As I wrote yesterday,much of the win/loss record for pitchers truly boils down to run support..
2) Other than the Ronny Cedeno double to the gap in right center in the sixth,the Pirates never seemed to even hit the ball hard against Rick Porcello. Porcello was tremendous and Pittsburgh had little chance. 3) Porcello fanned just three and seemed to be in the middle of the same transition as Charlie Morton from thrower to pitcher.With an ERA around three,Porcello seems to be in the middle of a breakout season..
4) After the game,Evan Meek was added from the DL to the bullpen. Daniel Moskos was returned to Indianapolis. The Pittsburgh Pirates have taken the first two games from the visiting Detroit Tigers and go for the sweep today at PNC Park. I was able to see the 10-1 thrashing of the Tigers on Friday,but thanks to the ridiculous MLB rules that will not allow anyone to watch a non-home town game other than the game being shown by Fox,the win yesterday was not televised. This rule needs to be relaxed for those that PAY for other MLB games and allow them to watch the game of their choice. That is what the out of town packages were created for,correct? I am going to keep this along the lines of team thoughts and not as much about specific games. 1) How much is a pitchers record determined by run support? Look at the numbers of Kevin Correia at 6-4 and compare them to Paul Maholm at 1-6. 2) A swap of Pedros as Pedro Ciriaco was called up from Indianapolis to replace the injured Pedro Alvarez. Alvarez will attempt to properly heal an injured quad after trying to play through it. Ciriaco will move into Brandon Wood's spot at utilityman with Wood getting the yeoman's share of the time at third. 3) Perhaps Alvarez can use the time to find the hitting stroke that has been missing this season. Pedro will likely have an eventual rehab stint at either Indianapolis or Altoona and sometimes the smallest thing to change could pay huge dividends. The Pirates need something to change as Alvarez has easily been the largest disappointment of the season..
4) Charlie Morton is the teams biggest surprise,but a close second goes to Daniel McCutchen,who has been so dominant thus far,he has moved ahead of Chris Resop into the more important role of 7th inning reliever and as setup man until Evan Meek's return.which should occur shortly..
5) The new name being mentioned for the number one pick is Virginia lefthander Danny Hultzen. Hultzen is "closest to big league ready" etc. I heard this note before-anyone recall Bullington,Bryan????? 6) I am generally against college pitchers in the top few to begin with unless they have proven to be far and beyond to be the best talent in the draft. I would have had no issues with the Pirates taking Stephen Strasburg had they picked first in 2009,but even then I still have injury concerns. 7) Shocker of the night-An ESPN commercial for Sunday night baseball featuring the Red Sox and a follow up promo for Monday night baseball with the Red Sox again. Sorry for missing a game,but spent time with my visiting friend Big Don and my new friend Mike going to games over the last few days,so something had to give with work. Anyway,the Buccos broke a six game losing streak by grabbing both games in Ohio from the first place Reds. 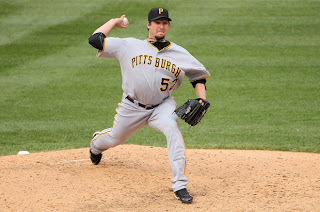 Wednesday featured a terrific game by Charlie Morton (5-1),who tossed a shutout in a 5-0 win. Pedro Alvarez's three run homer (2) and Andrew McCutchen's two run shot (8)were all Morton needed to cruise to the W.
Yesterday's 5-3 win saw James McDonald allow just a single run in just under seven innings as he bumped his record to .500 at 3-3. Joel Hanrahan allowed a run in the final stanza,but hung on for save number twelve. 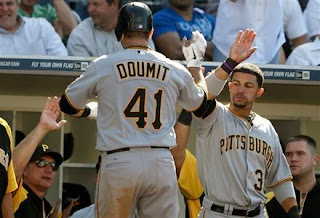 Ryan Doumit (4) homered for Pittsburgh. Weekend interleague play begins (ho hum) with three games against the Tigers at PNC Park. 1) I am slowly beginning to believe in Charlie Morton. Not totally yet,but I am beginning to believe in his conversion from thrower to pitcher. Morton still walks more than I care for,but keeping the ball down in the zone has made a huge difference thus far. 2) Pedro Alvarez has only hit two homers this season,but there was little wonder about his blast on Wednesday-that dog was gone right off the stick! 3) I really like Ryan Doumit thus far this season. Put aside Doumit's homer yesterday,he has been improved behind the plate and even tosses a runner out occasionally. Perhaps not playing every day holds the secret to improved production? For some players-less is more. 4) Play of the series was Andrew McCutchen's full out,horizonal dive to take away a sure extra base hit. McCutchen's outfield play can be spotty,but he can make you forget all of that with just one play. 5) Evan Meek is expected to return next week,so the Pirates will have send someone down to Indianapolis. My bet is on Daniel Moskos. 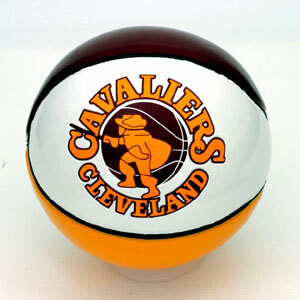 The post-Lebron era began for the Cleveland Cavaliers last night as their two entries in the NBA lottery resulted in the first and fourth picks in the draft..
Ironically,the winning pick was not the Cavaliers own,but the pick that was obtained from the Los Angeles Clippers that would have been the eighth pick before the lottery began. Cleveland is expected to select Duke point guard Kyrie Irving with the first pick with several candidates for the fourth pick. I am hoping Cleveland could somehow end up with Irving and Arizona forward Derrick Williams,but Williams may not last that long. The Cavaliers will have a chance to put things in the past and rebuild for the future,despite this draft having been reported to be one of the weakest crops in years. The future for the Cavaliers began last night with Cleveland getting a break for a change! The Pittsburgh Pirates dropped their sixth game in a row as the Buccos wasted a strong performance from Paul Maholm in a 4-2 loss to Washington. Maholm picked up the loss (1-6) thanks to Jose Ascanio allowing a homer to Danny Espinoza on his first pitch to break a 2-2 tie in the seventh. 1) Paul Maholm has pitched well this season and deserves a better fate than a 1-6 record. I thought that Clint Hurdle's decision to pull Maholm was premature and it made the difference in the game. 2) Brandon Wood's blunder on the bases in the fourth cost the Bucs a run with Wood attempting to move from first to third,which was a high gamble for a small reward. Combine that with a later miscue of a squeeze bunt in the inning and you can see Clint Hurdle didn't have a good night. 3) The key mistake I thought on the squeeze was this-not that the runner was the cement-legged Chris Snyder or even that it was Maholm dropping the bunt,my issue is using a lefty batter to drop the bunt. If the pitch is outside the strike zone,the runner is dead and their speed is rendered meaningless. I am running short on time today,so I'll leave it here. Kevin Correia was rocked for four runs in the first inning with two balls leaving Miller Park and despite a mid game rally,Milwaukee completed a sweep of the Pittsburgh Pirates with a 9-6 win. Correia picked up the loss (5-4) after allowing six runs over just four innings. Neil Walker homered (5) in the five run Pirate fifth inning to pace Pittsburgh. The Pirates are in Washington today for the first of a pair in D.C. with Paul Maholm against John Lannan. 1) Neil Walker's fifth inning homer was the first hit off Zack Greinke and the Pirates pounded Greinke thereafter.Greinke threw over forty pitches in the inning,staggered through to complete the inning (qualifying for the win) and left the game..
2) Another error for Pedro Alvarez,this one throwing for his seventh this season. Anyone ready to see him try first yet? Could this be a factor in the draft with Anthony Rendon over Gerrit Cole? 3) Kevin Correia just didn't have it and it showed early. Correia was having trouble throwing the fastball for strikes,got behind in the count and paid for when he had to come over the plate. Correia just isn't the type of pitcher that can succeed in those situations with his stuff. 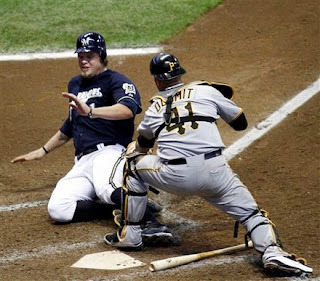 4) Since 2007,the Pirates are 3-33 against the Brewers at Miller Park. Only the Washington Generals would look at a record like that as a positive. 5) The Pirates and Brewers honored the military with camouflage versions of their hats. They weren't winners,I hate versions like that-much like I despise the various colors of team hats available through MLB.For example the red Yankee hats. MLB and New Era can deny this all they want,but there is no doubt in mind that the different color hats for MLB teams are done for one reason-to appeal to the city gang members that root for a team that colors happen to be of a rival gang and make money off it. Not only do the hats look dumb,but making money off gang violence,just is not right..
Three solo homers that must have caused burns on Bernie Brewer from sliding so often combined with an awful seventh inning led the Milwaukee Brewers to an 8-2 win over the Pittsburgh Pirates in Milwaukee. Jeff Karstens allowed two of the homers,but no other runs in falling to 2-3 on the season. Lyle Overbay homered after the game was out of reach for his third longball of the year. The series concludes today with Kevin Correia against Zach Grienke. 1) I cannot blame the loss on the umpiring,but it was not good at all. The worst of all was the run that snapped the trap shut in the seventh as Joe Beimel looked to have gunned down Corey Hart at the plate off a Craig Counsell bunt. Hart never got to the plate,let alone touched it,but was called safe anyway. 2) Clint Hurdle was tossed for arguing Neil Walker being called out at first on a seventh inning twin killing. 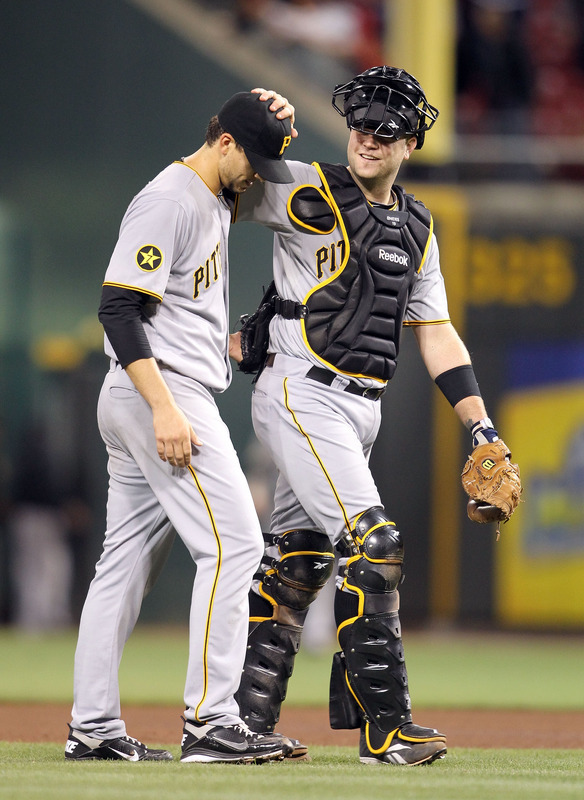 3) Give Jeff Karstens some credit for another decent outing. 4) Pedro Alvarez is still struggling with the bat,but the glove as well. Corey Hart should have never been on base to begin with to score had Alvarez whiffed (literally) on Ronny Cedeno's throw to Alvarez. Hart would have been out by a mile. 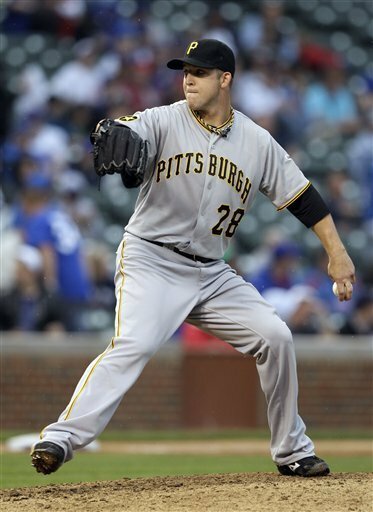 5) The Pirates released Scott Olsen yesterday. Olsen never pitched for the Pirates after being signed in the off season in what is looking to be a less than excellent free agent period for the Bucs. 6) The draft is coming up soon and most have the Pirates taking Rice third baseman Anthony Rendon or UCLA pitcher Gerrit Cole. Of the two,I prefer Rendon as part of my usual stance on spending first rounders on college pitchers,but a name that I would like to hear more about is Kansas high school outfielder Bubba Starling,who is thought to be the best athlete in the draft and have the highest upside. Starling is committed to Nebraska to play quarterback for them,so he will not be cheap and there is always a higher chance of a bust from a high schooler,but Starling could be the best player in this draft. New segment that will appear on occasion today as I cleaned the inbox recently and I'll use this on occasions when the inbox is empty,but little things add up to a post. M&M Peanut is one of the few sweet treats that I have an addiction to,which is why I attempt to limit my exposure to them. The Pirates lost in Milwaukee 5-2. I missed the game with the late start,but will be watching the remaining two games in Fonzieville. James McDonald was rapped around a bit,despite fanning seven in four innings. A pleasant surprise yesterday from Sportstime Ohio. Usually the sports networks around the country have to black out their classic games or specials to non-local viewers due to a stupid rule by MLB. I would suspect getting as many people to watch your shows as possible would be a good idea,but this is baseball,after all and you can generally count on them to get things wrong. However,yesterday someone missed the boat because STO showed the entire game with flashback interviews from Len Barker's 1981 perfect game and it got through. I just tossed a tape in and set a timer,figuring I would get the usual black screen with the notation that it isn't available in my area-This time it worked out. For all the pining that we do for the past,watching a game that is now 30 years (GASP!) old the broadcast differences are vast. Grounders often showed the infielder scooping and throwing followed by a quick cut to the first baseman catching the peg. I also miss the score box,which has been a great addition to broadcasts,although some use it for too much information that clogs the screen and others are just too small for aging eyes. I will always rate Joe Tait at the top of announcers for basketball,but I thought he was pretty average calling the Tribe. Watching the game brought something else to mind-Just how much I loved those less than terrific Tribe teams of that era. Almost every name in the game brought a smile or memory back to me-Toby Harrah,Jorge Orta ,Duane Kuiper etc. Most of the Indians then weren't very good and others had seen better days,but for a bad team,I have such wonderful memories. Toronto didn't help themselves any as they swung from their heels and generally looked like they were batting against Henry Rowengartner from Rookie of the Year. I get asked all the time which team do I root for when the Indians and Pirates play and I don't have an answer for them,but I will say this-If the American League dropped the DH,the Indians become the team we cover. The question that I get most of late is this-"What do you think about Bryce Harper? Well,I am working on an opinion piece for NatsProspects.com that will answer just that. Keith Olbermann has had an axe to grind with ESPN for years,but that doesn't mean he is wrong. His blog on ESPN's baseball coverage could apply to just about everything that they cover. ESPN has rapidly become the most muted network here at the home headquarters,with the exception of games that are called by Gus Johnson,Greg Brown and the Washington Capital pair of Joe Beninati and Craig Laughlin..
Gus Johnson has left CBS for Fox Sports! Why is this worth an exclamation point? That decision means that Johnson would be assigned to only 2 Browns games at the most instead of the possible 14 at CBS and it gets him off college hoops as well! Johnson will be the "lead voice" of Fox college football and basketball,which means not much exposure for me other than the Big 10 title game. It might also mean Johnson and his uninformed boxing commentary could leave Showtime boxing as well,since Showtime is owned by CBS. Johnson would still be seen by me here and there,but on the overall-I love it! My little brother is back from the shadows and blogging again. Check him out from the links page and read from the best wrestling mind,who's last name is not Cornette! I am a traditionalist when it comes to the Big Ten. I still haven't gotten over the addition of Penn State and that is over twenty years ago,so you know that I am not thrilled with another new team in Nebraska,although I do think that the Huskers were the best choice,if this HAD to be done. The division names (legends and leaders) haven't clicked and likely will only be used by the talking heads. The divisional choices to go not by geography but by seemingly random pulls from a hat and to try to get Ohio State-michigan in the championship game every year will prove to be a huge failure. Ask the ACC on their failures in this matter in which they gerrymandered divisions to force a Florida State-Miami title game every year and has yet to get it,at the cost of rivalries. There are exceptions,but for the most part,the best rivalries are in state or between bordering states. You want fans to care about your divisions? Then you need to do them regionally and let the chips fall where they may. So where is their title game?Indianapolis-Indoors. First,I am aware that yesterday's posts still aren't here as of this writing. Thanks for those of you that let me know. Blogger has been having issues and took all Wed.posts down until they have cleared them up. 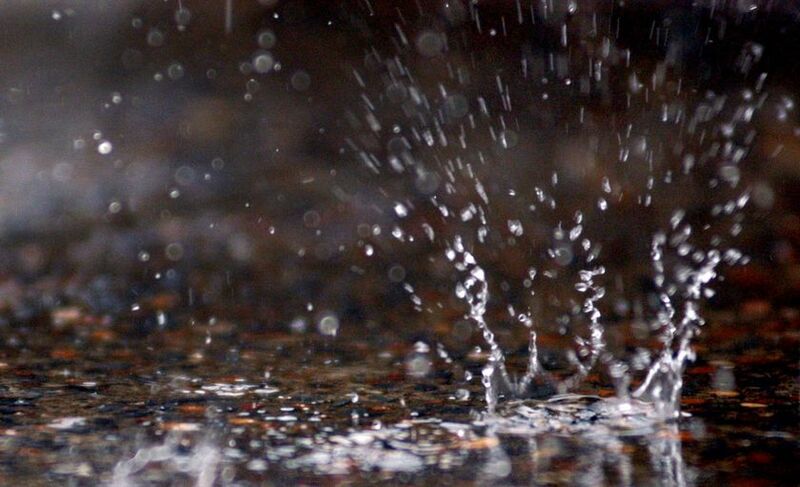 The Pirates played two innings and the rain hit Pittsburgh-Hard! The game was never restarted and the stats disappear,which is not happy news to Jon Garland,who started for the Dodgers. The game was most noted for the benching of Andrew McCutchen for lack of hustle on a passed ball on Wednesday. Doubtful on coverage tonight with the eight o'clock start in Milwaukee. This is the main reason that I wish the Pirates were in the East instead of the Central. Goodbye to former British heavyweight contender Henry Cooper,who passed on at the age of 76.
Cooper was most remembered for his left hook that dropped Muhammad Ali (then known as Cassius Clay) in a bout before Ali's win over Sonny Liston for the heavyweight crown. Ali was nearly finished,but arose and stopped Cooper in the next round. Goodbye to former Ohio State and Dallas Cowboys running back Ron Springs at the age of 54. Springs had been in a coma after a operation on his elbow in 2007. Ryan sends this article on Seattle reliever Tom Wilhelmsen,who quit the game and then returned from the real world to earn a job in the Mariner bullpen. An older article on one of our favorites in Houston's Bud Norris that touts Norris for a fantasy league addition. Norris has been racking up high K numbers and a excellent ERA of just over three. Time for the mail only successes from the signing front. I hope to have an in person version later in the week and there are still plenty of cards still in the mail,at least I hope so anyway! It has been almost a week since I wrote about the Pirates as the team took two of three from Houston and the first game of the Dodger series from Los Angeles before dropping the last two. The series concludes tonight and Pittsburgh hits the road for the next week with three games in Milwaukee and two each in Washington (anyone up for Tuesday's afternoon game?) and Cincinnati. 1) The most memorable part of the Astro series was Ryan Doumit's game winning three run homer to win Sunday's game.Doumit has played well thus far as part of a surprisingly productive platoon with Chris Snyder and might be gaining value as a prospective trade chip for a contender that needs a catcher later in the year. 2) James McDonald was dynamite on that day with a scoreless game over six innings and allowed just three hits.McDonald seems to be rounding into form and was robbed of a well deserved win in this one. 3) After a smoking hot start,Jose Tabata has struggled at the dish of late and I think I can place the reason. Tabata looks to me to be trying to go power crazy after a few homers and his contact has suffered since. 4) After Monday's win got the team over .500 (the two losses have since dropped them under),people seemed to get excited. Not me-I want either a contender or another year of top quality talent added to a still lagging farm system. 5) The only roster move was Mike Crotta to the DL with elbow soreness and Jose Ascanio up to replace Crotta on the roster. Back to normal with game coverage tomorrow! I am going to try to get a few different posts up today,in order to make up for the missed time recently. I will do just a makeup Pirate post and then attempt to return to game coverage with tonight's game. The hiring of Texas A&M coach Mark Turgeon as the new bench boss with the University of Maryland is the sort of non-flashy hire that seems to be taking the ACC by storm as schools revamp their programs. Mark Turgeon might be the best of the bunch though as he has established two programs as strong contenders in their conferences. Wichita State is a basketball school that had been slumping in recent years,Turgeon breathed new life into the Shockers and they have been among the best in the Missouri Valley ever since. Billy Gillispie built Texas A&M,but Turgeon has been able to maintain the success there at a school that has never been a hoops giant. I love the fact that Turgeon comes from the Larry Brown tree of coaching as my opinion is that Larry Brown is the basketball genius of my lifetime,so if Larry Brown thinks that highly of someone-my attention is always gotten right away. Turgeon played for Brown at Kansas and was an NBA assistant for Brown as well,giving him a terrific background to draw from. Turgeon has been noted for some less than exciting teams and for being far from the best public relations coach around,but Terrapin fans can live with that,but one key will determine the future of Mark Turgeon at Maryland-Can he mine the Baltimore/Washington area for the talent that more often than now left Maryland for other basketball horizons? If Turgeon can do that,Maryland has hired themselves a winner and Turgeon has incentive as well. The weekend has been busy and today and the next two look worse. I'll get caught up soon-I promise!!!! Gary Williams resigned yesterday after 22 seasons as the head of the Maryland basketball program and it seems be the beginning of the end of an era in college hoops, a game that is suffering from decreased interest as it with the exception of March Madness. Many disliked the profane Williams for his combative sideline demeanor in which Williams screamed at everyone in sight from his assistants,players,opponents,occasionally fans and certainly referees,but Williams saved Maryland basketball from the basement dwelling period after the death of Len Bias and guided it through the ridiculous NCAA probation,making the difference in saving Maryland as a basketball school instead of a faded has been. Maryland's only national title came under Williams and it didn't come with the rent a star either,it came with overachievers and team play. 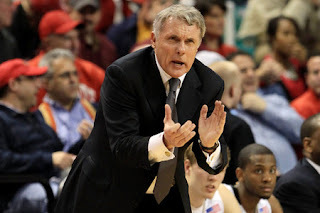 What made Gary Williams successful was what made him a dinosaur in the current age-the refusal to play the recruiting game that currently ails college hoops. I respect Williams for passing on the short term player,but it certainly hindered the Terrapins when most of your opponents are taking those players. Williams was never going to be an elite recruiter,but it seems to have gotten worse over the last five years. So many young players are used to having coaches tell them how wonderful they are and when a coach prefers honesty,most players are going to pass on being yelled at for their college career. Call it the Bob Knight syndrome,as Knight struggled in his waning years at Indiana and at Texas Tech in being able to recruit top players. Williams excelled with the sleeper recruit that needed time to mature and that meant multiple years. That is the sign of an excellent teacher and sometimes these players developed too early such as Chris Wilcox and currently Jordan Williams and Maryland lost them before they truly hit their collegiate prime. Ironically,Williams success might have hurt his program as far interest goes when the new Comcast Center opened in place of Cole Field House. The new arena had all the amenities of the modern era,but the atmosphere that Cole had has never been approached by the CC and games against anyone other than Duke or North Carolina brought to mind the anti-septic atmosphere of the "Dean Dome". When you add all of those things up in the present day,it is pretty easy to figure out why Maryland has struggled over the last few seasons,but Williams was what he was,he wasn't going to be someone he was not. I once listed Maryland basketball as a passion that matched any of mine in sports,the ACC expansion ruined that for me,but I still have a soft spot for the Terps,who need to make a great hire,preferably someone that can tap the Baltimore/Washington players better than Williams did.Success there can quickly return Maryland to an elite school in not just the ACC,but the nation. Gary Williams took over a program that was on life support after the Bob Wade tenure and returned it to its glory as one of the top 15 basketball jobs in the country. Thanks to Gary for that. Honestly,the names I am hearing for the job don't do much for me. Jamie Dixon of Pitt and Jay Wright of Villanova? Neither has done much for me. Sean Miller of Arizona? Maybe,but he just left Xavier for Arizona,is Maryland a final stop for him? Mike Brey of Notre Dame? Pass. Rick Barnes of Texas would be nice and he was a Williams assistant long ago,but I doubt he leaves Austin. Butler's Brad Stevens would be a home run hire,but I don't see Stevens leaving the midwest and VCU's Shaka Smart has not proven himself totally to me that he is more than a one year run.. The Cleveland Browns were active on the final day of the draft with a pair of picks in round four,after a trade that saw the Browns trade both of their sixth round picks to add an extra fifth and a compensation pick near the bottom of the final round. Cleveland added five players on the day and on the last day, no player comes without questions to begin with,but some of these have,well,questions. The Browns used their own fourth round pick on USC tight end Jordan Cameron,which seems to me to be a huge gamble. 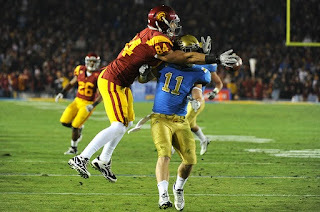 Cameron transferred to USC from BYU,where he played basketball and in two years as a Trojan,Cameron caught just 16 passes. Cameron looks to be the latest craze of teams picking basketball forwards and attempting to turn them into tight ends. Jimmy Graham of the Saints was the latest to be successful from this mode,but this is always a risk when you reach for an untested player. Cameron looks the part right off the template,but I would have preferred a player that was less of a risk early in the fourth round. Cameron could be a huge success,but this is far from a guarantee. Cleveland used their pick that was obtained from Atlanta on Stanford fullback Owen Marecic.Marecic played both ways at Stanford,but the Browns will be using him at fullback. Marecic seems to be the type of fullback that the Browns want for their offense as he looks to be able to block and catch the swing pass. This likely means the end of Lawrence Vickers as a Brown. Vickers was a tremendous blocker,but his hands were questionable and he makes more money than the Browns really want to pay for a fullback. Marecic should also be a hit on special teams with his experience as a linebacker,giving him an even further dimension. The Browns used their fifth rounder on a player that I really like in Chattanooga corner Buster Skrine. Skrine was the second fastest corner in the draft and was a high school running back. His 5'9 frame will work against him as a full time corner,but he should be able to help in multiple DB schemes and Skrine returns kicks,which might be a help for the Browns in resting Josh Cribbs. Pinkston was all-Big East at left tackle,but projects to be a right tackle in the pros. Right tackle seems to be a need,but the Browns say they want him at guard,which makes me wonder about their feelings about 2010 draftee Shaun Lavuao. The Browns then finished the draft late in the seventh round with the pick of Nebraska safety Eric Hagg. Hagg played the "peso' spot with the Cornhuskers,which is a linebacker/safety combination and looks to be strong against the run. Hagg was worked at corner at the Senior Bowl and was reported to have not shown well there. Overall,I give this draft a solid B.
I like Phil Taylor,although I still think he would have been there at the Browns pick, and I like both the second rounders in Jabaal Sheard and Greg Little. Little could make or break this draft along with Jordan Cameron. Both come with huge questions that only playing time can answer. I like Buster Skrine and Jason Pinkston both as future contributors as well,which is all one can ask for from fifth rounders. The Pittsburgh Pirates used a grand slam homer by Ryan Doumit (2) to lead a six run third inning (all of them unearned for Padre starter Clayton Richard) and lift Pittsburgh to a 7-4 win of the game and three game series..
Kevin Correia pitched six innings and allowed two runs in his return to his former home. Correia improved to 5-2 with the win. Pittsburgh just missed a sweep as they dropped the middle game 6-5 as the bullpen lost a 5-3 lead over the final two innings. Joe Beimel was the loser in his first decision of the season (0-1). The Pirates are off today as they return home for a seven game homestand vs the Astros and Dodgers. I will miss the first game of the series as I am going into work early,but the rest look like a good bet. 1) I listened to the loss on XM,but it didn't take seeing the game to tell the difference in the loss. You give up three home runs to players that had a combined ZERO homers entering the game,that makes it pretty clear that it isn't your night. 2) Many have bashed Brandon Wood for trying to advance from second to third in the ninth on a ball that was a short amount away from the catcher. 3) Thus far with the season a bit over month into the term,I would have to say that I was wrong on Kevin Correia. That doesn't mean things will remain that way,but Correia has pitched pretty well other than on one occasion and with some luck,he could be 6-1. Last night,he did exactly what you expect from a veteran-keep your team in the game. 4) A neat thing that some Padre fans do is hang a "Q' placard when a San Diego pitcher gets an out with three pitches or less. Lacee Collins talked to these fans,in which was the first interesting feature I have seen her do all year) and it seems like these fans are real baseball fans as they explained their reasons for not just settling for the standard "K" for strikeouts. 5) Ryan Doumit's grand slam was a "noooooooooo Doubt about it" as the badly missed Lanny Frattare used to say. Garrett Jones called it a "laser beam",I'll just call it crushed! 6) John Bowker cleared waivers and was assigned to AAA Indianapolis. A good break for the Pirates as it keeps Bowker in play as an addition later on,but another blow to Bowker's chance of getting a real shot at a full time job. 7) High A Bradenton had to move a series to FSL rival Charlotte's stadium after "rust issues" with Mckechnie Field. Serves them right for leaving the Carolina League. The Pittsburgh Pirates shot to the lead early against Aaron Harang with a pair of first inning two run homers off the bats of Garrett Jones (6) and Chris Snyder (1),but the Bucs would score no more runs and watched the Padres chip closer,but fell short as the Pirates escaped with a 4-3 win in San Diego. James McDonald allowed two runs in six innings to even his record at 2-2 with Joel Hanrahan earning his ninth save of the season with a scoreless ninth. The series continues tonight at 10:05 at Petco Park..
1) Keep in mind that I didn't see the game,but listened on XM,but the biggest play of the game didn't seem so big at the time as Garrett Jones threw Brad Hawpe out at the plate to finish the fifth inning. At the time,the score was 4-0 and didn't seem to be a huge deal. It would prove to be the difference in the game. 2) Garrett Jones is not a terrific outfielder defensively,but teams need to respect his arm. Jones has proven more than capable of gunning runners down and that evens out some of his defensive deficiencies. 3) James McDonald threw his second good game in a row and other than the two run homer down the left field line that he allowed Jorge Cantu,McDonald seemed to be on his game. And kudos to Clint Hurdle for allowing McDonald to finish the inning. Too often young pitchers aren't allowed to develop confidence with dealing with middle/late inning adversity. Being pulled at the first sign of trouble doesn't help that confidence grow. 4) Hurdle loses points though for not taking advantage of the Padre pitchers being unable to throw strikes. Hurdle called a hit and run for cement footed Lyle Overbay on first and Chris Snyder,who might be the teams least likely batter to pull off a H and R.
Snyder missed and Overbay was thrown out. Had Hurdle allowed things to take their course,the Pirates would have used the walks for an insurance run. 5) San Diego wore their camouflage jerseys to pay tribute to the Armed Forces for their role in the Osama Bin Laden death. Those things are ugly,but the sentiment is applauded. 6) I'll be commenting more tomorrow on the Padres radio crew,but suffice it to say that I was not impressed. Back either later or tomorrow with the Browns draft review-I haven't forgotten,it is just time permitting. The Pittsburgh Pirates used a pair of four run innings in the second and fifth to cruise to an 8-4 win over the Colorado Rockies and take the series win in Denver. Charlie Morton moved to 3-1 with the victory. 1) Charlie Morton got the win,but walked five more batters in less than six innings to so. Morton's publicized changes have been effective for the most part thus far,but I suppose that I am still a non-believer. Morton just strikes me as someone that will struggle on his second tour through the league. 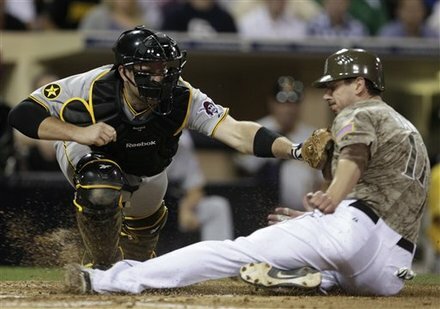 2) Xavier Paul started his first game as a Pirate and finished with two hits,two RBI and a steal. Paul's second inning triple that scored two runs was a bullet off the right field wall that was hit hard enough to be a homer,just a bit too low. 3) Paul still needs to show me that he will be better than John Bowker,but I will say this-I can see Paul being pretty valuable as a late inning pinch runner. Paul is not as fast as Andrew McCutchen,but looks to be the second fastest Pirate and on a team that does not exactly loaded with speed burners should help in that role. 4) I have never been a fan of Joe Beimel and was decidedly non-plussed on his return to the Pirates after a forgettable previous stint,but he sure was devastating yesterday in Denver. I watched the Rockies broadcast (They are one of the three former FSN's that are now ROOT Sports and they do not beat you over the head with the change either) and they attributed Beimel's success to knowing how to pitch in Coors Field. Makes sense to me as most of the crowd wore knit caps and gloves throughout the game,so experience with that weather in that altitude has to be at a premium for a visiting pitcher. 5) I am not sure how accurate the Coors Field radar gun is,but they had Joel Hanrahan clocked at over 100 twice in the ninth inning. That is called movin' it,my friends. 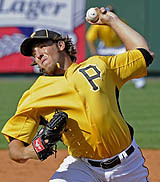 Hanrahan is about the only major part of the trade with the Nationals in 2009 still on either team. No,Sean Burnett doesn't quite count. Ask Washington fans,if they want to make that trade again! I'll try to squeeze in the Pirates win over Colorado later today,but advance apologies if I do not. I'll be in Frederick with the Winston-Salem Dash in town and I need to sleep before hand. If I am unable to sleep well,I'll get my thoughts on the game down then. The Browns draft stuff will be delayed a day or so as well,as I thought this post was more important. The death of Osama Bin Laden yesterday comes as a long awaited day of reckoning for the leader of Al Qaida,but we need to keep things in perspective as well. Our war against these zealots that want to damage and hinder our country is far from over. The successor as the head of the organization Ayman al-Zawahiri may be even more effective than Bin Laden was. Al-Zawahiri may not be the world-wide face that Bin Laden was,but I have watched a few interviews with him and he strikes me as a person that may have been pulling the strings all along. Do not think this is over,although a striking blow has been thrown. This will not be the final blow in this battle . Thanks to our brave men and women that not only finished the job,but to everyone that continued on this project for the last nine plus years. Without your hard work and sacrifice,none of this would have happened. I am hoping that for at least one day that we can celebrate this as a country without political considerations and keep politics out of this. 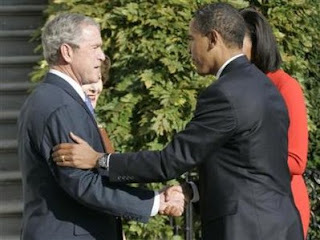 This could not have happened without the work done by both the Bush and Obama administrations and both need to be commended for the work that has been done. I hate to see either side take too much credit for something that took too long to be finished to begin with. Let's try to be united for a day and enjoy this for what it is-A huge win,but not the final win. I would also like to add this-as morbid as this sounds,a video proving the death and showing the body needs to be aired ASAP. Preface it for small children and the weak of stomach to leave the room and show it. Blow any possible conspiracy theories right out of the water before the crazy talk can be started. Do what Bolivia did with Che' Guevara and eliminate any doubt from anyone. Granted,Guevara became a underground hero to many to this day,but Guevara was not a mass murderer on the level of Bin Laden either. The greatest villain of the last 60 years has finally been brought down. However,I wince when I hear that "justice has been served". One can never balance one life against three thousand and say that,but what has been done is this-a man paid for his crimes with his life. That is the highest price that one can pay. We have yet another chance to unite as a country and do what we did not almost ten years ago-put left and right wings aside and work together for the things that our country needs. From financial issues to gas prices,the environment-you name it. I have seen one inning of Pirate baseball over the last three days and by watching that,I did get to see the only run Pittsburgh scored in a 4-1 loss to Colorado yesterday. Andrew McCutchen's homer (5) to the deepest part of Coors Field was a line drive bullet that was absolutely hammered. I have missed Thursday's 5-2 loss to the Giants ( Draft stuff) and both games in Denver due to the late MST time start. I will be able to see today's game,but I have committed to work six day weeks for the next three weeks,so I will not see the first two games in San Diego. However,since those games start at 10:05,I'll be bringing the XM to work and covering the game from there. I don't mind lugging the bulky BB for games that I will be able to listen to entirely,but it just isn't worth bringing it for a just an inning or two. I pull for the Giants,when not playing the Bucs,but I was really hoping the Pirates would hammer Ryan Vogelsong on Thursday. 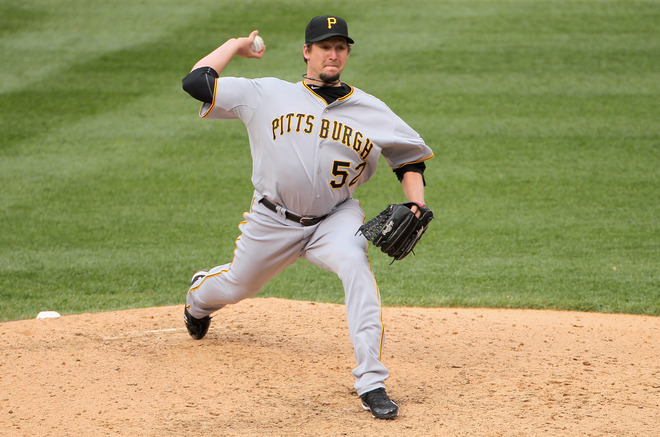 Of course as usually happens when less than stellar Pirate pitchers return to Pittsburgh,Vogelsong turned into a star as he not only won the game,he set an all time career high in strikeouts with eight. This is not unfamiliar territory for the Pirates. Jose Tabata injured his hamstring in the inning that I saw as well and his replacement was Matt Diaz not new arrival Xavier Paul. Diaz doesn't hit righthanders well and normally isn't a left fielder,yet he got the call over Paul? That one doesn't make a ton of sense to me. Only word that I have heard about Tabata is that he may not play today. The Pirates did offer Josh Rodriguez back to Cleveland for $25,000 and the Indians wrote the check,which returned the shortstop to their organization. Rodriguez was assigned to AAA Columbus. We thought something was wrong with Evan Meek and turns out we were right as Meek has been placed on the disabled list. Meek is taking a week off to rest his shoulder tendinitis. Sometimes,rest is all this type of injury needs and toughening out the issue usually just creates an ineffective player and an injury that never heals. Meek's replacement was 2007 first round pick Daniel Moskos,who made his big league debut in the loss to the Rockies with a scoreless eighth inning. We blasted the pick at the time,but note we didn't even mention the player that might turn out best of all the "coulda hads" with that pick-Atlanta's Jason Heyward. Moskos has handled the press/bloggers with class and the handful of times that I met him seems like a great guy. Photo Credit-Peter Diana Pittsburgh Post-Gazette.